Together with prof. Domenico G. Sorrenti, Ignacio Parra and Julius Kümmerle I proposed and organized the IEEE ITSC 2018 Special Session on Urban Localization. Hope to see everyone in Auckland, New Zealand, 27-30 October 2019! 27th Oct 2018 - Together with Pietro Colombo, I made a short presentation about ROS (in italian) Presentazione ROS Linux Day Milano 2018	(41 downloads) and the history of autonomous driving cars Autonomous Road Vehicles History and Current Developments	(197 downloads) at the Linux Day 2018 - Milan edition organized at the University of Milano Bicocca. From May 2015 to December 2015 I was a visiting scholar at the University of Alcalá de Henares (UAH ISISLab , now INVETT) under the supervision of prof. Miguel Ángel Sotelo. A. L. Ballardini, A. Furlan, A. Galbiati, M. Matteucci, F. Sacchi, D. G. Sorrenti - 6DoF Monte Carlo Localization in a 3D world with Laser Range Finders. This is a research report of my master's thesis, written for the DISCO Dept. (495 downloads) [Other link from Unimib] Abstract: In mobile robotics, localization plays a key role in every task assigned to a robot. This report describes the probabilistic module we developed to solve the localization problem in our autonomous driving vehicle. Our method uses a complete 6DoF approach within a 3D motion model, in order to correctly integrate the error caused by dead reckoning. Furthermore, the description of the environment is a 3D voxel representation. We base on particle filtering, in the localization process. An ad-hoc simulation environment has been developed, for testing the effectiveness of the motion model. Finally, we performed some field experiments, to demonstrate that our approach consistently locates the 6DoF position of the vehicle along the driven path on the test site. A. L. Ballardini, A. Furlan, A. Galbiati, M. Matteucci, F. Sacchi, D. G. Sorrenti An effective 6DoF motion model for 3D-6DoF Monte Carlo Localization 4th Workshop on Planning, Perception and Navigation for Intelligent Vehicles, IROS, 2012 PDF available An effective 6DoF motion model for 3D-6DoF Monte Carlo Localization	(824 downloads) . Abstract: Laser scanners are sensors of widespread use in robotic applications. 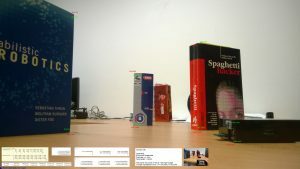 Under the Robot Operating System (ROS) the information generated by laser scanners can be conveyed by either LaserScan messages or in the form of PointClouds. Many publicly available algorithms (mapping, localization, navigation, etc.) rely on LaserScan messages, yet a tool for handling multiple lasers, merging their measurements, or to generate generic LaserScan messages from PointClouds, is not available. This report describes two tools, in the form of ROS nodes, which we release as open source under the BSD license, which allow to either merge multiple single-plane laser scans or to generate virtual laser scans from a point cloud. 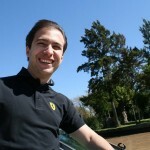 A short tutorial, along with the main advantages and limitations of these tools are presented. Augusto Luis Ballardini, Simone Fontana, Axel Furlan, Dario Limongi, Domenico Giorgio Sorrenti - A framework for outdoor urban environment estimation, IEEE 18th International Conference on Intelligent Transportation Systems, ITSC2015, in ITSC2015 proceedings. Abstract: In this paper we present a general framework for urban road layout estimation, altogether with a specific application to the vehicle localization problem. The localization is performed by synergically exploiting data from different sensors, as well as map-matching with OpenStreetMap cartographic maps. 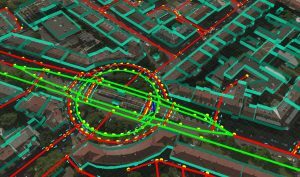 The effectiveness is proven by achieving real-time computation with state-of-the-art results on a set of ten not trivial runs from the KITTI dataset, including both urban/residential and highway/road scenarios. Although this paper represents a first step implementation towards a more general urban scene understanding framework, here we prove its flexibility of application to different intelligent vehicles applications. Simone Fontana, Lorenzo Ferretti, Augusto Luis Ballardini, Axel Furlan and Domenico Giorgio Sorrenti - An Indoor Localization System for Telehomecare Applications on IEEE Transactions on Systems, Man, and Cybernetics: Systems - In this paper, we present a novel probabilistic technique, based on the Bayes filter, able to estimate the user location, even with unreliable sensor data coming only from fixed sensors in the monitored environment. Our approach has been extensively tested in a home-like environment, as well as in a real home, and achieves very good results. We present results on two datasets, representative of real life conditions, collected during the testing phase. We detect the patient location with subroom accuracy, an improvement over the state of the art for localization using only environmental sensors. The main drawback is that it is only suitable for applications where a single person is present in the environment, like as with other approaches that do not use any mobile device. For this reason, we introduced the "telehomecare" term, therefore differentiating from generic telemedicine applications, where many people can be in the same environment at the same time. 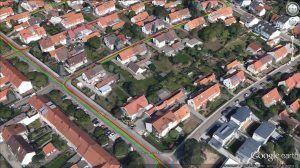 Augusto Luis Ballardini, Daniele Cattaneo, Simone Fontana, Domenico Giorgio Sorrenti - An Online Probabilistic Road Intersection Detector - Presented ad ICRA 2017 Conference [link] In this paper we propose a probabilistic approach for detecting and classifying urban road intersections from a moving vehicle. The approach is based on images from an onboard stereo rig; it relies on the detection of the road ground plane on one side, and on a pixel-level classification of the road on the other. The two processing pipelines are then integrated and the parameters of the road components, i.e., the intersection geometry, are inferred. As opposed to other state-of-the-art offline methods, which require processing of the whole video sequence, our approach integrates the image data by means of an online procedure. The experiments have been performed on well-known KITTI datasets, allowing for future comparisons. Abstract - In this paper we present a probabilistic lane-localization algorithm for highway-like scenarios designed to increase the accuracy of the vehicle localization estimate. The contribution relies on a Hidden Markov Model (HMM) with a transient failure model. The idea behind the proposed approach is to exploit the availability of OpenStreetMap road properties in order to reduce the localization uncertainties that would result from relying only on a noisy line detector, by leveraging consecutive, possibly incomplete, observations. The algorithm effectiveness is proven by employing a line detection algorithm and showing we could achieve a much more usable, i.e., stable and reliable, lane-localization over more than 100Km of highway scenarios, recorded both in Italy and Spain. Moreover, as we could not find a suitable dataset for a quantitative comparison of our results with other approaches, we collected datasets and manually annotated the Ground Truth about the vehicle ego-lane. Such datasets are made publicly available for usage from the scientific community. Autonomous Road Vehicles History and Current Developments - a short presentation after the V-Charge Summer School. Slides available in PDF format Autonomous Road Vehicles History and Current Developments	(197 downloads) and Powerpoint with videos available upon request. Simulation for the Computational approaches to Physical and Virtual Crowd Phenomena, developed as a final exam of the Computational approaches to Physical and Virtual Crowd Phenomena. PSO Clustering Algorithm, based on "Data clustering using particle swarm optimization" by DW Der Merwe and AP Engelbrecht, developed as a final exam of the Clustering Analysis Course. Download the code here and presentation Data Clustering using PSO	(843 downloads) .